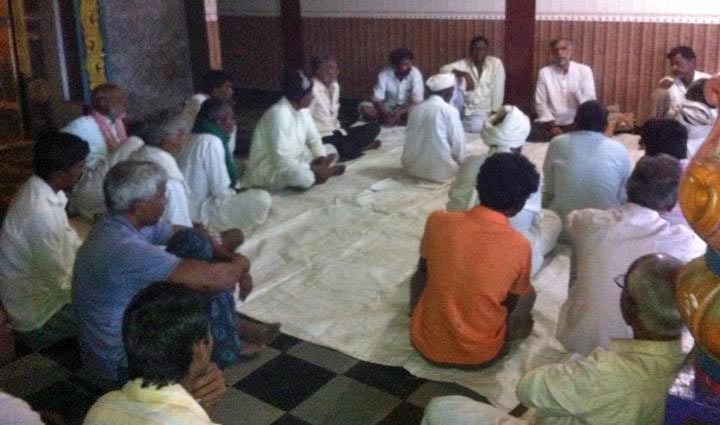 Picture above: Kannada samaj leader Ghanesh Bhat (right) at a farmers meeting at Allapur, Hubli in Karnataka, India. The Kannada samaj-movement of Karnataka, India, focusses on generating awareness among farmers about giving industrial status to agriculture. 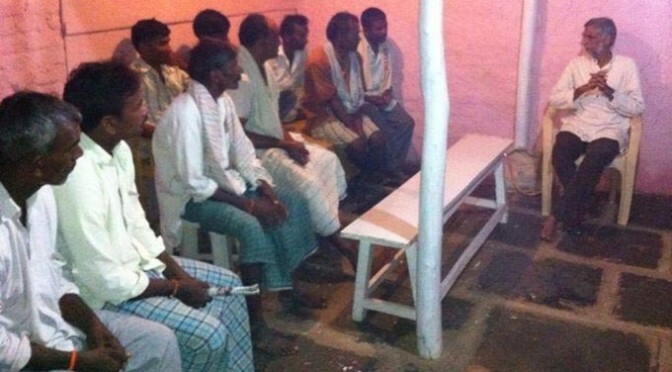 Kannada representatives are conducting meetings in villages and interacting with farmers. “In industry raw material costs, labour costs, interest on loans, depreciation, maintenance costs, profit, the rate of outturn, etc. are fixed and included in costing. In agriculture this has not been done, so produce is usually priced uneconomically. Kannada samaj farmers meeting at Halyal, Kundagol in Karnataka.